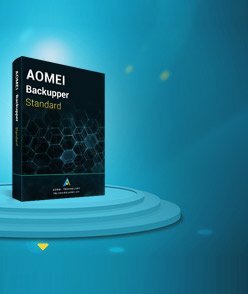 Introduction:You might run into this issue while you do a backup. Backing up of the volume 1 (C:) done. You might run into this issue while you want to restore an image file. 1. 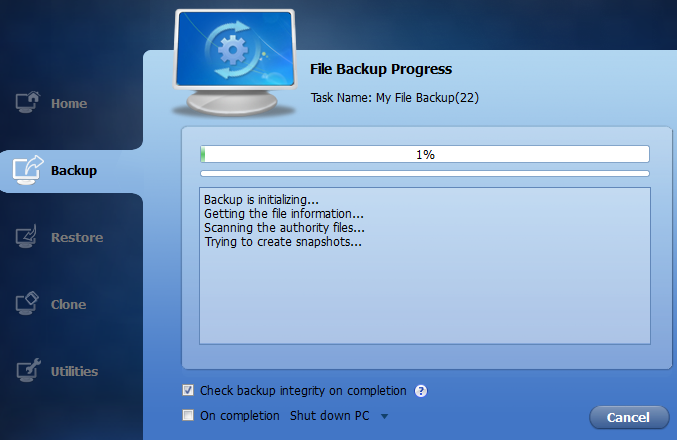 Have you ticked “Check backup integrity on completion” (as shown below)? If so, you could try to check backup integrity manually again and take a look at if still get “invalid image file” message. Still the same problem, please make a backup again and do not tick that option. Check the image manually after back up. 2. If you run into this issue while you want to restore an incremental image file. 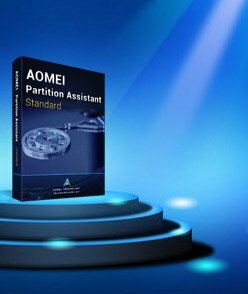 Take a look at if you could restore the original full backup file or the previous incremental versions without problem. The incremental image may be damaged, you can't restore it. 3. If you restore the backup file under windows, you could make a WinPE bootable media and boot into winPE to restore again.